I am not the chef in our household so, for me, the more gadgetry the better. Pottering in the kitchen is fun but if you can look vaguely professional while you sip wine and throw ingredients around all the better; especially when it comes to the actual presentation and all important taste test. 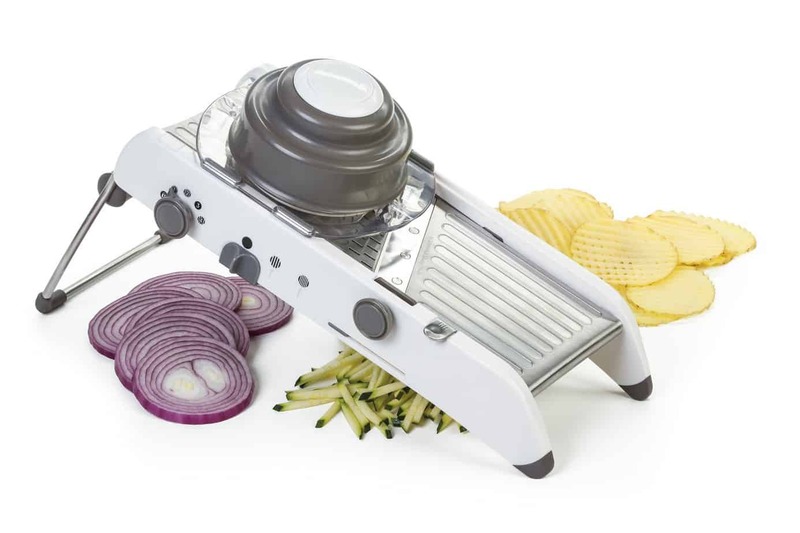 So I was intrigued to see the new PL8 Professional Mandoline which has just received an international endorsement for outstanding design, acknowledgement of benchmark safety features and an ability to produce highly impressive waffle slices in seconds. This has got to be top of the home cook’s wish list, doesn’t it? Traditionally, users haven’t liked how complicated and unsafe the changeover of blades has been been in regular mandolines. 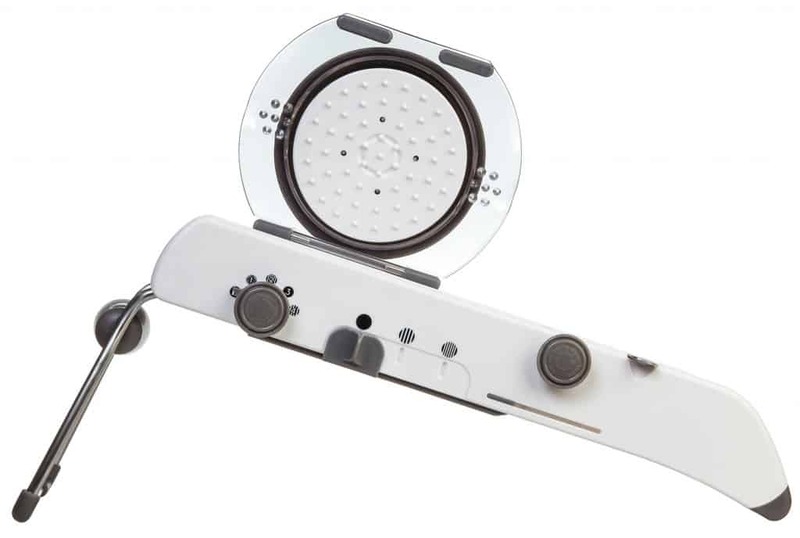 Improving this was a design priority for the PL8 Professional Mandoline and to also provide a more decorative cutting option to elevate the standard of food preparation to a more professional level. Well bring it on! And it’s obviously worked as the PL8 Professional Mandoline was awarded Highly Commended in the international Red Dot design awards 2014. The stand out design feature is the integration of the cutting blades into the actual appliance – no more loose parts and no removing and refitting ultra sharp blades. Great for home cooks who do like to have a wine while preparing dinner. The PL8 Professional Mandoline is one of the safest on the market with four slicing thicknesses (1mm, 3.5mm, 5.5mm and 7.5mm) and four cutting patterns – slice, French fry, julienne and waffle. Music to my inferior chefing ears. The thickness is adjusted by simply turning a dial. Yup, I can do that. The blades are interchanged by sliding a switch to raise or lower either the julienne or French fry blades. Even the waffle chips can be cut in four different thicknesses. 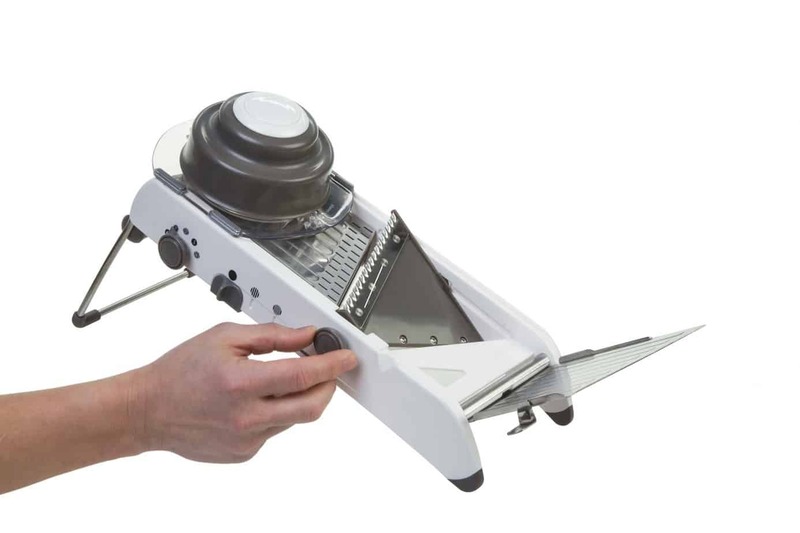 The super sharp blades will slice the most delicate fruits and vegetables with precision. 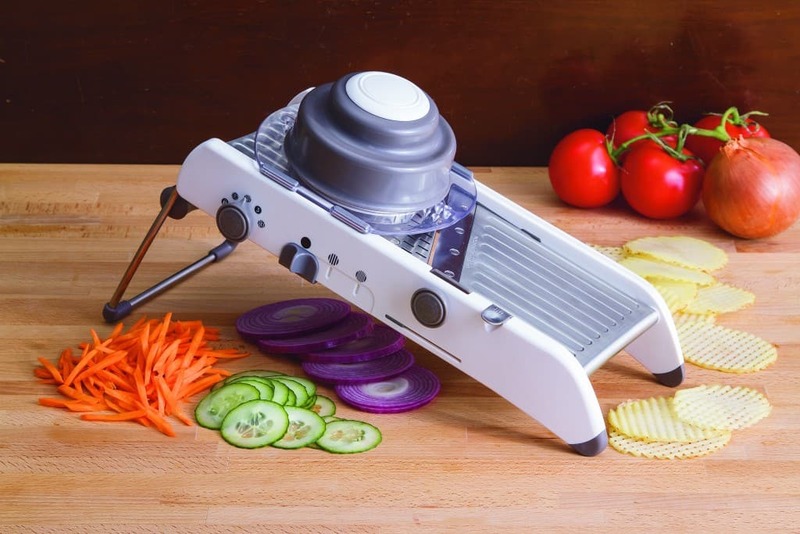 And the extra wide stainless steel slicing deck is hinged to the finger guard which secures the food by virtue of shortened prongs for very stable slicing – yet another safety feature. 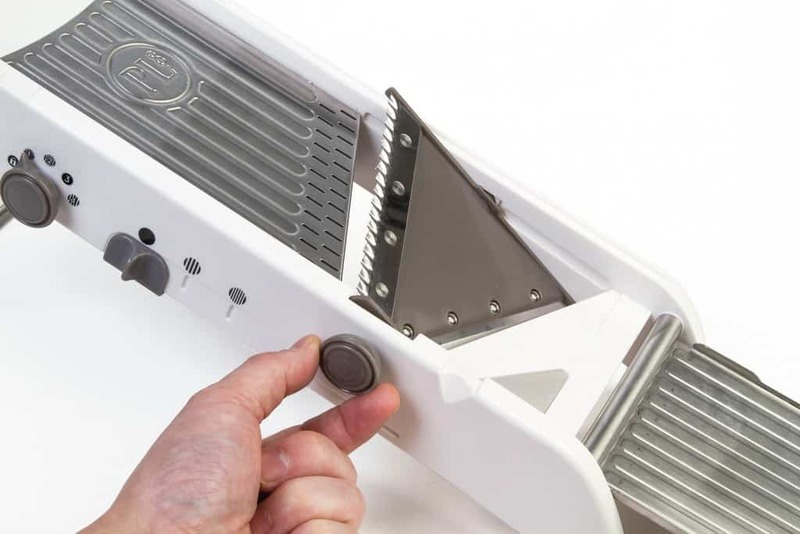 The PL8 Professional Mandoline has been designed for strength and durability with non-skid feet that fold into the body of the appliance for convenient and compact storage in a drawer or on a shelf. It is dishwasher safe on the top rack and available from July 2015 at independent kitchenware retailers nationally and David Jones at RRP $109.95. Call DKSH (the distributor) on 02 9425 5000 for details on local stockists. Do you love kitchen gadgets? What’s the most useful gadget you have? Check out some of our other kitchen helpers and homewares such as SMEG appliances and new Salt&Pepper black & white accessories. And did you know Zara had a new homewares outlet?